Medievalism in Australian Cultural Memory | Bell Tower, St Andrew’s Presbyterian Church, Manly, Sydney. Bell Tower, St Andrew’s Presbyterian Church, Manly, Sydney. 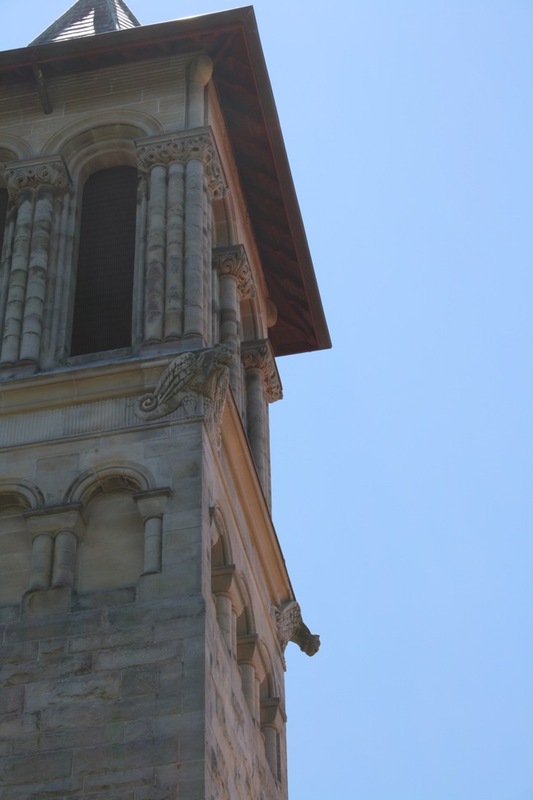 A close up image of the bell tower of St Andrew’s Presbyterian Church on Raglan Road in the Sydney suburb of Manly. The building was designed by John Sulman in the Romanesque Revival style and was completed in 1890. 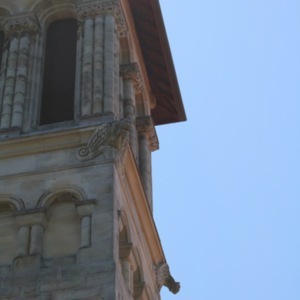 The carved white sandstone building features a prominent bell tower (shown) with gargoyles, semi-circular arched windows and blind arcading with columns with decorated capitals. “Bell Tower, St Andrew’s Presbyterian Church, Manly, Sydney.,” Medievalism in Australian Cultural Memory, accessed April 23, 2019, http://ausmed.arts.uwa.edu.au/items/show/1114.